Daniel P. Fitzgerald is a Principal in Cummings & Lockwood's Private Clients Group and is based in the Greenwich office. His practice focuses on estate planning, estate administration, taxation, partnerships, probate litigation and defending tax audits. Dan's extensive estate administration experience allows him to develop estate plans that address issues and concerns before they become problematic. He has worked with a broad range of finance, accounting, hedge fund and private equity professionals, as well as artists and entrepreneurs. Dan has developed comprehensive estate plans to assist members of many generations in their wealth transfer protection and planning. 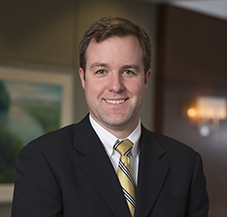 Dan is the Chair of the Firm's Marketing Committee and former principal-in-charge of the Firm’s Continuing Legal Education Program and the Private Clients Group Associate Training Program.